Norman F. Chance Funeral Home and Cremation Service has been providing quality funeral service in Indianapolis, Indiana, since 1961. Every family's goodbye is different, at Norman F. Chance Funeral Home we are dedicated to providing you an exceptional level of personalized service to ensure your arrangements will be as unique as your loved one. From cremation, burial and life celebrations, we have the trusted experience to provide options that truly meet your needs. Regardless of circumstances or budget, we are here to help you with all the things you never thought you would have to do for your loved one. Forexample insurance, social security, veterans benefits and much more. That is why you can always expect thoughtful, caring, and affordable service when you call Norman F. Chance Funeral Home and Cremation Service. Our staff and directors are dedicated to delivering the highest degree of professionalism, dignity, and compassion for every client 24 hours a day, 7 days a week, 365 days a year. 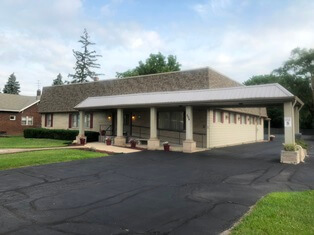 Call us today at 317-784-3546 to learn more about our funeral home and the services we provide to our families.